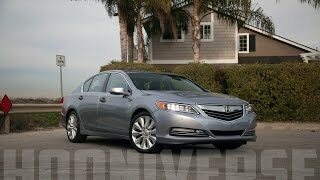 Acura had the public debut of the RLX Sport Hybrid SH-AWD luxury-performance sedan at the 2013 Los Angeles Auto Show. This model is the first vehicle to deploy Acura's new three-motor hybrid powertrain technology. The system combines a highly efficient, direct-injected V-6 engine with an all-new, Acura-designed, 7-speed dual clutch transmission with built-in electric motor and an electrically powered variant of Acura's highly regarded torque-vectoring Super Handling All-Wheel Drive (SH-AWD). 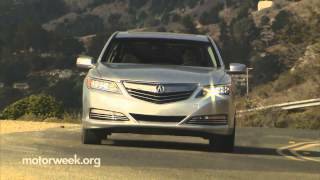 The 2014 Acura RLX Sport Hybrid is powered by the 3.5-liter, 310-horsepower, i-VTEC® V-6 engine with Variable Cylinder Management™ (VCM™) which includes an idle-stop feature to help maximize fuel efficiency. The engine is mated to an all-new, 7-speed dual clutch transmission with built-in electric motor. 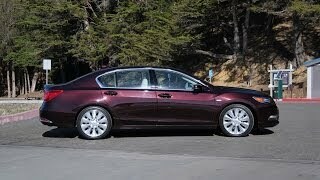 The RLX Sport Hybrid SH-AWD has a longer wheelbase and wider greenhouse delivering full-size interior space. It boasts the longest rear-seat legroom. 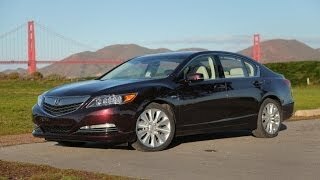 The RLX advanced body design makes extensive use of high-strength steel and aluminum, further aiding its outstanding fuel efficiency, straight-line performance and superior handling agility. 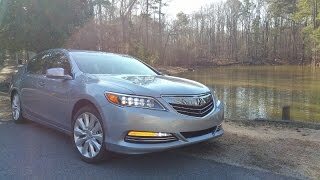 The RLX Sport Hybrid SH-AWD features Acura's signature Jewel Eye™ LED headlights and the RLX taillights which utilize periphery LED illumination that is both effective and highly distinctive.